Give your students the opportunity to tinker and invent, building real-world skills. Despite claims made by some, the maker movement is no fad -- it's just a new name for something lots of people have been doing for a long time. I had my first "maker moment" at 4 years old. Using a screwdriver, I snuck out of the garage and started disassembling a Fisher-Price airplane on my bedroom floor. The joy I felt realizing I had the power to discover what was inside something -- to understand how it worked -- still lives in me today. It was with that memory in mind that I created an after-school makerspace for grades 3-6. With a generous donation from the PTA, lots of hustle on DonorsChoose.org, and some dumpster diving, our Maker Lab was born! A year and a half later, I've been inspired, encountered struggles, and collected some tips and suggestions to help you develop a makerspace at your elementary school. I had the good fortune to meet Dale Dougherty, the founder of Make: magazine, at a local STEAM conference. His keynote address was an inspiring tale of why making with children is so valuable. He cited the collaborative nature of making, the value of creating tangible experiences in learning, and the importance of learning a diversity of skills that encourage innovation. The biggest thing I've learned while making with students is not to let my own definition of making determine what students choose to do when visiting the makerspace. Even though I think learning to solder is the best thing in the world, if programming robots is a student's chief interest, I must follow their lead. You could say my biggest makerspace lesson was inspired by Queen Elsa: "Let it go!" -- and then let them make. Educators have asked me what is needed to get a makerspace up and running. My answer is always the same: "Whatever you've already got!" The maker movement is about creating and problem-solving, not purchasing and consuming. Having said that, if you have the resources to buy a 3-D printer, some littleBits, or a Dash robot, I encourage you to do so, since all are open-ended ways for children to build maker skills. However, it's important to know that a pile of cardboard and duct tape (plus a MakeDo Safe-Saw), an old erector set, or some donated yarn and knitting needles can be the foundation for an engaging, vibrant makerspace. One of the most popular activities in the Maker Lab is disassembling old electronics (under close adult supervision), which only requires a handful of donated tools and some broken small appliances. We recently added duct tape to the mix, and now wearable art is becoming all the rage among our young makers! Again, how you make your makerspace a reality is dependent on your situation. Our makerspace is housed in the library, but when attendance spiked beyond our expectations, we had to send overflow to a neighboring classroom. 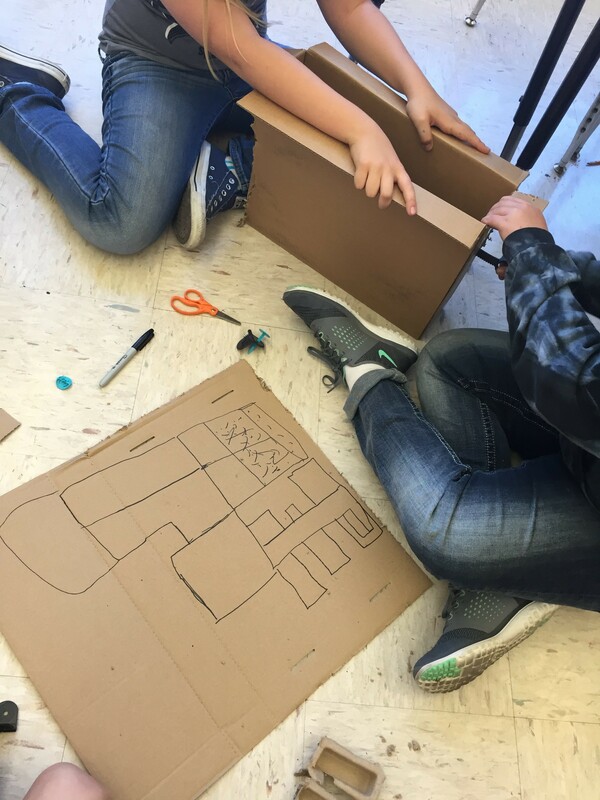 We now have separate spaces for electronics (robotics, small appliance disassembly, and 3-D printing) and textile/fiber making (cardboard creations, knitting, and felting) and encourage students to flow between the two, taking supplies and materials back and forth as needed. Extra classrooms make great permanent makerspaces and can be available for teachers to reserve time in, but even an extra cart kept in a common space can easily become a mobile makerspace for use anywhere on campus -- including a picnic table or cafeteria! Providing access to your makerspace is for generating student interest and should be flexible based on your site and staffing. For example, our makerspace meets after school, but at a neighboring school, the library has a shelf of maker activities for checkout before school and during lunch. Also, a classroom makerspace can be tucked into a corner and made available each day during centers or choice time or during a weekly genius hour. Making can create a real difference in the lives of students. By giving students the time and space to tinker and invent, we validate their creativity while building real-world skills. Also, you can weave making into nearly all content areas, turning every subject into a learning opportunity for students of all abilities. But the real reason you should give making a try is to give students the chance to discover their own "maker moments."